earlier version (November 28, 2017). You are currently viewing an earlier version of this article (December 16, 2017). 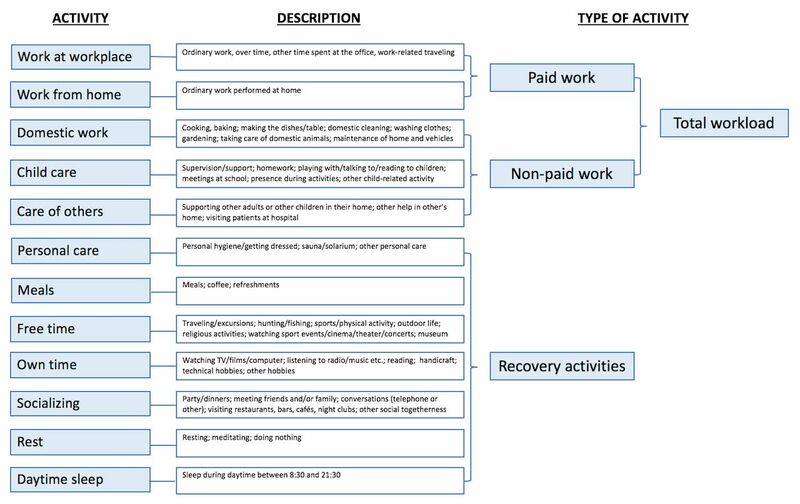 Data were collected within a longitudinal controlled intervention study evaluating a 25% reduction of weekly work hours and its impact on health.13 Thirty-three workplaces were included and randomised (see Schiller et al11 for more details). This is thus a cluster-randomised controlled trial. One of the 33 workplaces was not able to recruit new staff and was consequently allocated to the control group, resulting in 17 workplaces in the intervention group and 16 in the control group. Participants in the intervention group preserved their salary, and the workplaces obtained funding for recruiting more staff in order to avoid an increase in workload for the employees. Data were collected at baseline (1–2 months before the intervention; February–May 2005) and approximately 9 months and 18 months after the introduction of reduced work hours (in January/February and October/November 2006). At each data collection participants filled out a questionnaire and completed activity reporting sheets daily during 1 week. Data collections were made at home through the paper-and-pen method. Despite the fact that there were no differences between subgroups related to the intervention, it has previously been shown that reduced worktime is associated with less conflict between work and family life, and that the effects of a shorter workday on work family conflict were more appreciated by employees with children as compared with those without children.16 In Anttila et al’s study,16 there were only women participating, ruling out the possibility to investigate gender differences. In the study by Åkerstedt et al10 on worktime reduction, the strongest effect of the intervention was the increasing time spent with family and friends, which was estimated by the participants to be ‘too little’ at the start and somewhere between ‘almost’ and ‘completely sufficient’ after the introduction of the reduced worktime. Statistics Sweden showed in their report Women and men in Sweden17 that both men and women (aged between 20 and 64 years) have an average total workload of about 8 hours per day (workdays and days off included). During workdays women spend about 9 hours and men about 9.5 hours in paid and non-paid work. Importantly, more men than women work full time (55% of all working women and 73% of all working men in Sweden are full-time workers), and even though women spend more time in non-paid work as compared with men these differences have been more equalised during the past years. The amount of time spent on personal needs and in free-time activities over the week is very similar for men and women in this report, although women spend more time during workdays and men more time on weekends in these activities. Finally, we do not know if the disadvantage of a reduced salary would somehow have an impact on the time-use pattern (eg, some of the free-time activities might imply high costs) and if this would rule out the positive effects of a worktime reduction. Our findings can only be generalised to situations where worktime is reduced and where salary is retained. Interestingly, Anttila et al16 found that the salary reduction following a worktime reduction was considered less important than getting the opportunity to spend more time with one’s children and being relieved from workload.
. Psychological aspects of workload. In: Drenth PJD, Thierry H, eds. Handbook of work and organizational psychology. Vol. 2: Work psychology. Hove,England: Psychology, 1998:5–33.
. Endocrinological processes associated with job stress: catecholamine and cortisol responses to acute and chronic stressors. In: Perrewé PL, Ganster DC, eds. Research in organizational stress and well-being: employee health, coping, and methodologies, 2006:1–59.